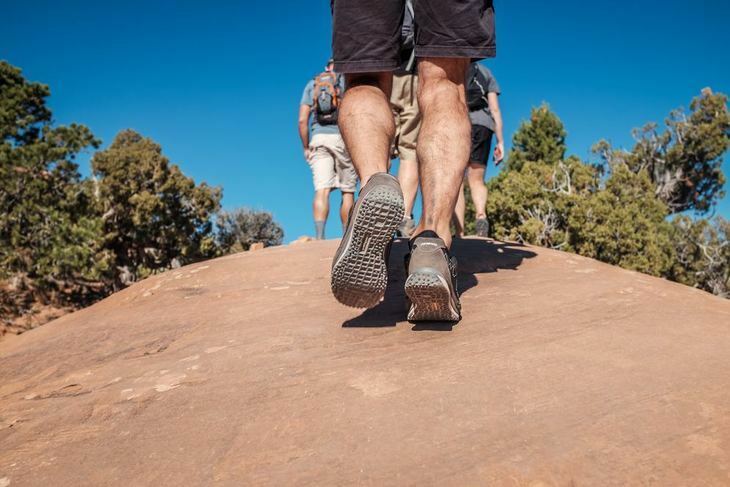 Hiking is a rewarding activity that includes a variety of health benefits. It’s a great way to spend time outdoors while getting a little exercise and spend some quality time with friends. 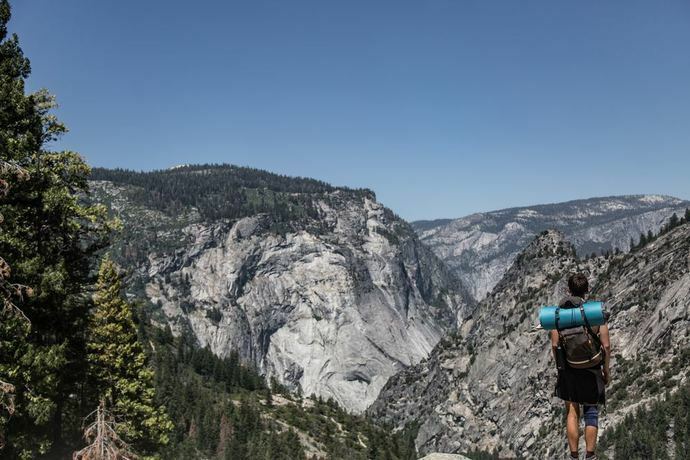 There are so many reasons to go hiking that it’s hard to find reasons not to. One of the biggest factors holding people back from enjoying the great outdoors is the health of their body and in particular their knees. Hiking is an intense leg workout that involves navigating uneven surfaces and obstacles on the trail. Your knees take the majority of the beating and one small misstep can tweak a knee and bring your hike to a screeching halt. 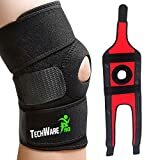 If you suffer from a history of knee pain finding the best knee brace for hiking will give you added support and confidence for years to come. Knee sleeve or knee brace? Functional knee braces are used to give support to a knee that has incurred damage. They are used after an operation to aid in the recovery and rehabilitation of the ligaments inside the knee while stabilizing the affected area (source). Functional knee braces are prescribed by a doctor and should be used according to your doctors recommendation. Prophylactic knee braces are used for preventative measures rather than post surgery (source). These knee braces are used to support than knee and prevent injuries from happening in the first place. They limit the motion and add support of a functional knee and are often used by people who suffer from arthritis. A knee sleeve is not the same thing as a knee brace. It doesn’t provide the same amount of support that a knee brace does, however, it does provide some support and is used to protect a knee that has been injured before from further damage. Knee sleeves are going to provide less swelling and limited pain after after a hike. A knee brace does not perform as well as good ligaments in the knee. If you do suffer from light ligament damage a knee brace will give you extra support at low loads. For hikers who suffer from arthritis, which is a common affliction as we age. A knee brace is going to apply pressure to the area and provide additional support to the affected area during a hike. If you are recovering from a knee injury a not using a knee brace for strenuous activity there is a chance that you may re-injure your knee. 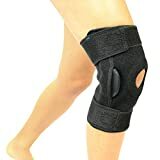 A proper prophylactic knee brace is going to support the injured knee and the exercise will help strengthen the affected area. A dislocated knee has the tendency to pop out of place. A knee brace is going to support the knee and compress the ligaments and muscles around the area, preventing another dislocation to occur. Finding the correct knee brace can make the difference between a successful hike and no hike at all. 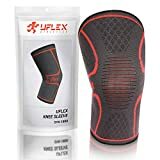 It’s important that you understand how to avoid knee pain and what to look for in the best knee brace, there’s not a one size fits all solution. There are knee braces that are one size fits all and others that offer a wide range of sizes. All of us have different body shapes and the one size fits all option doesn’t always work. The best idea is to try it on and see if you can take it on a short trail, the last place you want to find discomfort is halfway through an 8 mile hike. Hiking is going to take you through different types of terrain and you’re going to be taking awkward steps quite often. It’s important that your knee brace fits comfortably in all situations. The fabric should not bunch up and be able to absorb sweat which will prevent slippage. This entirely depends on what you are using it for. If you are recovering from an injury or surgery, a knee brace is going to offer better support and will be a better option. If you have occasional knee pain that acts up during moderate activity or just want extra compression, then a knee sleeve will do the job. On a hike, you are going to be testing the limits of your knee brace with each step up and around obstacles on the trail. Your knee brace needs to have well fitted adjustable straps so you can make changes as you progress on the trail. The straps should not cause any friction and align your muscular joints to your patella tendon. A knee brace that lasts for a few hikes is not worth your money. Don’t sacrifice quality when it comes to your knees, after all, they need to last for more than a handful of uses. Open patella knee braces keep the knee cap uncovered, some models leave it completely uncovered while others have just a small opening for the patella tendon. Closed patella knee braces cover the patella tendon and provide a little more support than the open style. Your decision on closed versus open patella knee braces should be made in conjunction with the advice of a licensed practitioner. There are a lot of knee braces and sleeves on the market and it’s hard to figure out which one will give you the best support. We took a look at the best selling models and put together a list of the most popular ones out there. Here are our top 5 picks for the best knee braces and sleeves for hiking. ADJUSTABLE UNIQUE BiDIRECTIONAL SUPPORT Alternating Strong Closures Stabilize Patella to Reduce Knee Pain. Others Have Straps on One Side Which Provide Uneven Support. PLEASE MEASURE Circumference Around Knee and Thigh for PROPER FIT (see Sizing Chart Image). Choose from 4 Sizes - Medium, Large, Extra Large and XXLarge. Mens, Ladies & Youth. OPEN PATELLA DESIGN For Support and Compression Around the Kneecap and Tendon Areas to Heal Knee Injuries. Also 4 Flexible Spring Stabilizers Provide Better Knee Cap Protection and Stability. BREATHABLE MOISTURE WICKING LIGHTWEIGHT NEOPRENE AND NO SLIP SILICONE STRIPS Ensures That Compression is Uniform and Stays in Place for Any Physical Activity Will Keep You Comfortable All Day Long. COMFORTABLE FIRM SUPPORT PAIN RELIEF From Tears, Arthritis, Bursitis and Tendonitis. Gel Pad Helps Inflammation and Swelling. Better Knee Mobility & Exercise Performance. This knee brace has a slim profile that offers excellent support and holds the knee in place firmly. The slim fitting design allows the leg and knee to flex naturally making it comfortable to wear on a hike. This knee brace is popular among athletes due to its comfortable fit, durable stitching, and tough material. It has a center strap that goes one way, while the top and bottom straps go the opposite way making the adjustment well-balanced. This knee brace is well-constructed and the alternating straps provide an extra level of comfort that other knee braces don’t offer. The 4 string stabilizer guarantees that your kneecap is stable and well protected. ALUMINUM SUPPORT HINGES FOR LATERAL STABILITY: Hinges are located on both sides of the knee for added support. Can be removed if less support is needed. Improves medial and lateral stability, helping reduce injury and assist recovery. Helps with strains, sprains, instability and patellar tracking. INJURY SUPPORT: Compression material provides support to injured ligaments, tendons, joints, and muscles. ACL, MCL and patella support for strains, sprains, instability and patellar tracking. BREATHABLE MATERIAL FOR COMFORTABLE ALL DAY WEAR: Neoprene is lightweight and breathable. Perfect for Exercise and daily use. The latex-free neoprene provides thermal compression. Open patella design. EXTRA STRENGTH FASTENERS: Prevents constant readjusting and allows you to customize the fit of the brace to your exact specifications.top and bottom straps assure personalized fit. This knee brace is designed for an active lifestyle for people who suffer from arthritic, weak or injured knees. It can be used on either knee and the straps allow adjustment for people of all sizes. The compression provides support to injured or sore ligaments, muscles, joints, and tendons. Is it made with a neoprene material that should allow for ventilation, however, there are reports that it could use better airflow. There are aluminum hinges on both sides of the brace for added support and they can be removed for less support during the healing process. Overall, it’s a comfortable and versatile knee brace that can be adjusted and modified as you progress on the trail. The EXOUS Knee Brace offers 4 point compression that’s adjustable. There are 2 large straps on the top and bottom of the knee brace with 2 smaller straps in the middle to support the kneecap. This makes the knee brace fit comfortably on most knee sizes and limits the chance of slippage on a hike. The style of this brace is large and it rests high on the thigh and low on the calf. There is a .5″ gap on the back of the knee brace that is there to prevent uncomfortable bunching behind the knee. Overall, it is an affordable brace that doesn’t lack in quality, comfort, and support. This knee sleeve is one of the least expensive on the market and extremely flexible. The sleeve is meant to provide pain relief and support the knee while protecting it from injuries. It is also has a heating effect which to keep the muscles around the knee warm, stimulates blood flow, and increases muscular recovery. It’s a spandex and latex blend with double silicone anti-slip grip that prevents the brace from falling down during intense activity. This knee brace is perfect for a hike or everyday use to add a little extra support to your knee. Mave Sports Knee Support is lightweight and comfortable while offering great support. This knee sleeve is effective at reducing arthritic pain and comes in 5 different sizes to accommodate all shapes and sizes. It is recommended for all types of outdoor and indoor use. It is comprised of a unique bamboo and charcoal blended material and doesn’t have a high amount of stability compared to 5 and 7mm knee sleeves. The soft material does have a snug fit which allows them to stay in place and the blended material provides an anti-itching effect. They are machine washable and dry quickly making them perfect for washing on the go. 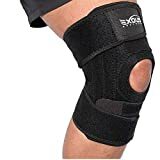 Finding the right knee brace for hiking is unique to the individual and depends on what level of structural support you need. Choosing a means to support your knee will make the difference between an enjoyable hike and a potentially painful one for years to come. There are countless knee braces available and the best one for you may not be the best for someone else. Take your time and read through reviews, talk to your doctor, and determine which knee brace is the best fit for you.